Myocardial ischemia, injury and infarction are the different types of damage of myocardial tissues due to an imbalance between myocardial blood supply and oxygen demand. The duration of the injury is the determining factor for the onset of ischemia and its progression to injury or necrosis. Ischemia, injury and infarction have different manifestations on the electrocardiogram, allowing their diagnosis. Classically, there are three phases after a coronary artery occlusion: ischemia, injury and infarction (necrosis). Ischemia: Reduction of myocardial oxygen for less than 20 minutes. The damage is reversible. In the electrocardiogram, ischemia produces changes in T wave. Injury: Persistence of oxygen deficiency (more than 20 min). Damage is still reversible. Injury is characterized by ST segment abnormalities. Infarction: Persistence of oxygen deficiency for more than two hours. Damage is irreversible. Infarction is characterized by pathological Q waves on the Electrocardiogram. Myocardial ischemia may be caused by a deficiency in blood supply, such as acute coronary syndrome, coronary spasm or anemia; or caused by an increase of myocardial demand, such as tachycardias, arrhythmias or infections. After occlusion of a coronary artery, ischemia produces delayed repolarization of myocardial cells, causing changes in T wave 1 2. Subendocardium is the most sensitive area to ischemia, and is the first area to suffer oxygen deficiency. Delayed repolarization causes tall T waves (peaked Twaves), accompanied by a lengthening of QTc. These peaked T waves are observed at the beginning of ST-segment elevation myocardial infarction (STEMI). Although the injury is subepicardial in STEMI, subendocardium is the first area to suffer ischemia; therefore, peaked T waves are the first changes in STEMI electrocardiogram. Subepicardial ischemia (transmural ischemia) causes a delay in repolarization of the entire myocardium of the affected area, generating negative or flattened T waves on the EKG 1. These T wave changes are observed before Q waves have developed in STEMI. If ischemia persists, changes of myocardial injury occur on the electrocardiogram. Injury causes ST segment abnormalities, elevation or depression. 1. Partial occlusion of a coronary artery. 2. Complete occlusion of a coronary artery. Subendocardial injury is usually caused by a partial occlusion of a coronary artery, generating a greater degree of injury in subendocardium (more sensitive to ischemia) than subepicardium. Subendocardial injury causes ST segment depression in more than one EKG lead. The ST depression is a sign of acute ischemia and appears in non-ST-elevation acute coronary syndrome (NSTE-ACS). When a total occlusion of a coronary artery occurs, a transmural injury appears (classically called subepicardial injury), This means that the entire myocardium in the area is affected. The subepicardial injury produces ST segment elevation in leads near the affected regions 2 3. Myocardial infarction or necrosis is caused by long-term persistence of ischemia. It usually appears in the evolution of ST-segment elevation myocardial infarction (STEMI), producing death (necrosis) of myocardial tissue. The infarcted regions are electrically inactive, abnormal Q waves or QS complexes appear in leads near the affected regions. Q wave infarction is usually transmural, because ischemic events limited to subendocardium do not cause Q-wave (non-Q wave infarction or NSTE-ACS). Myocardial ischemia, injury and infarction are the different types of damage of myocardial tissues due to an acute coronary syndrome. Each disturbance causes specific changes in the electrocardiogram, facilitating early diagnosis. During the phases of ischemia and injury, myocardial injury is potentially reversible, but not at the phase of Infarction or necrosis. We hope we have been of some help in expanding your knowledge. 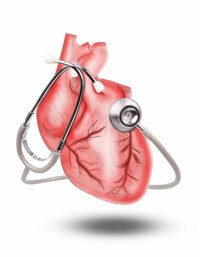 You may want to read this article acute myocardial nfarction.